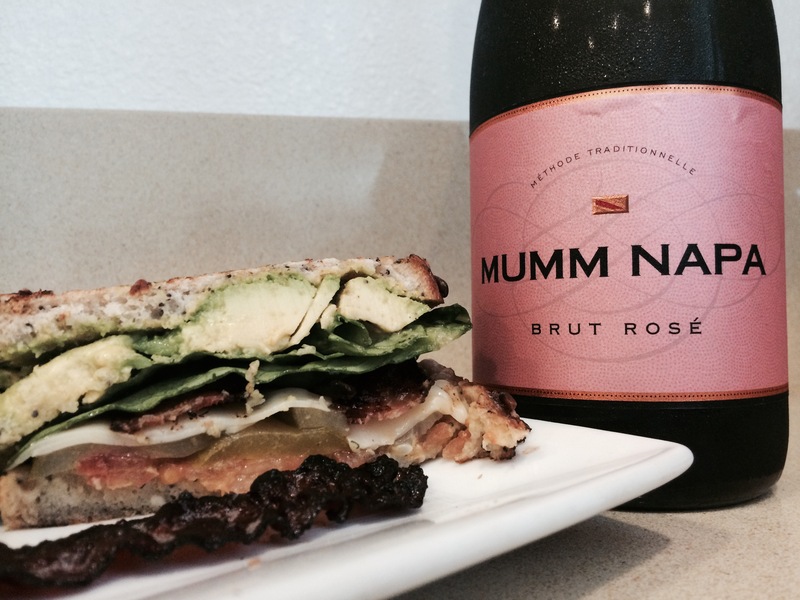 In honor of his first wine review for WeLikeDrinking.com, Jeff pairs this California Sparkling Wine with a Bacon, Lettuce, Avocado, and Tomato Sandwich. Be sure to check out my complete review of this wine on WeLikeDrinking.com, where I can also be heard as a panelist on the weekly We Like Drinking Podcast (available on iTunes too)! What’s your go-to sparkling wine and food pairing? Leave a comment and let us know what you think. King Crab Mac and Cheese. 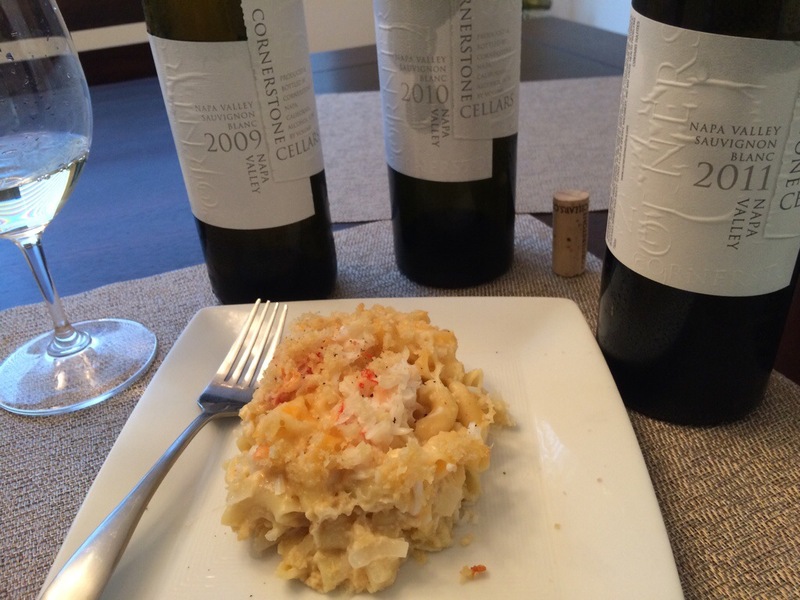 The acidity of the Sauvignon Blanc cut through the fattiness of the crab and the cheese. 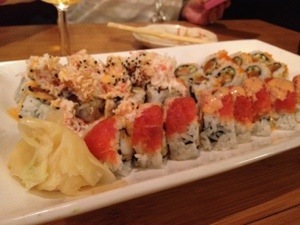 The salinity of the wine also highlighted the seafood. 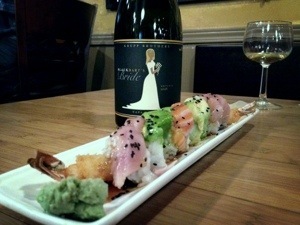 This food pairing does a great job of showcasing the richness of the Cornerstone Sauvignon Blanc. 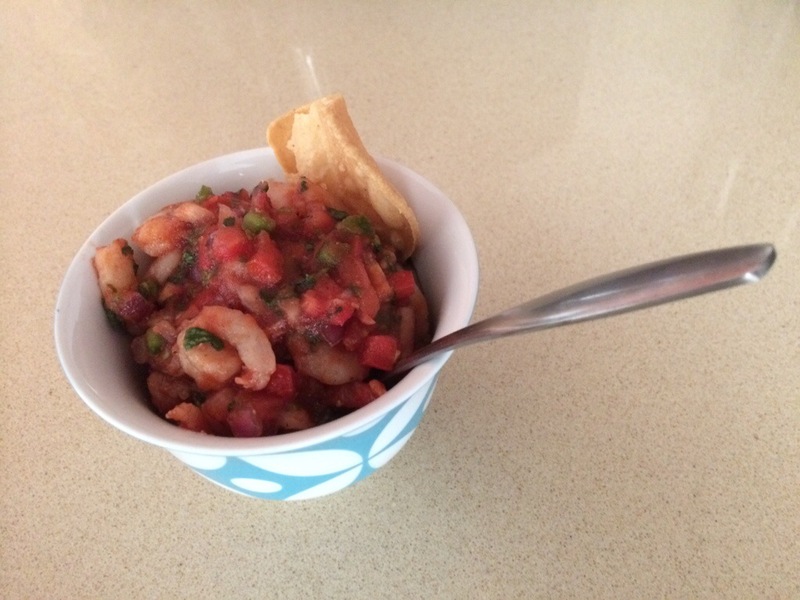 Shrimp Ceviche. 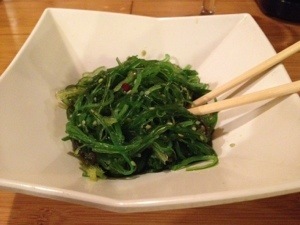 This spicy and rich ceviche brought out some of the ripe fruit flavors in the wine. 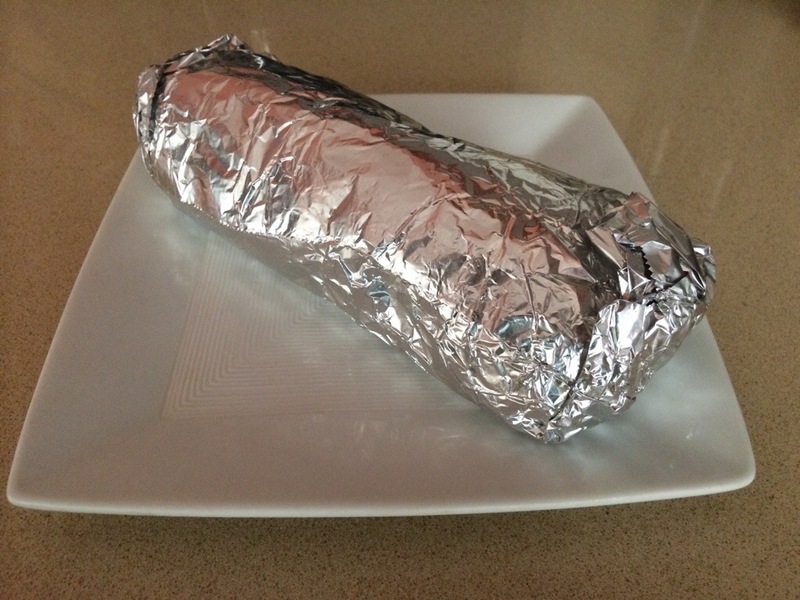 Super Burrito Al Pastor. 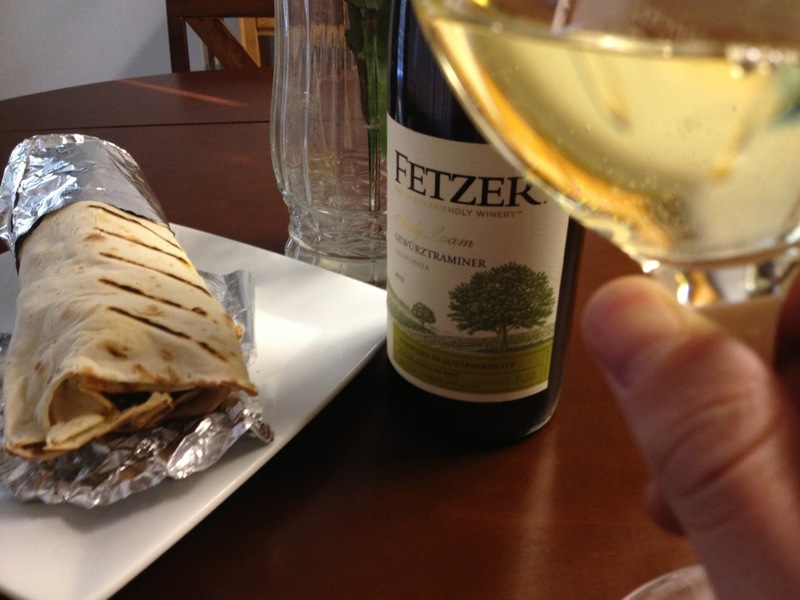 The savory burrito highlighted the herbaceous notes in the Sauvignon Blanc. I would show you a picture of the burrito unwrapped, but that would make for a messy meal. 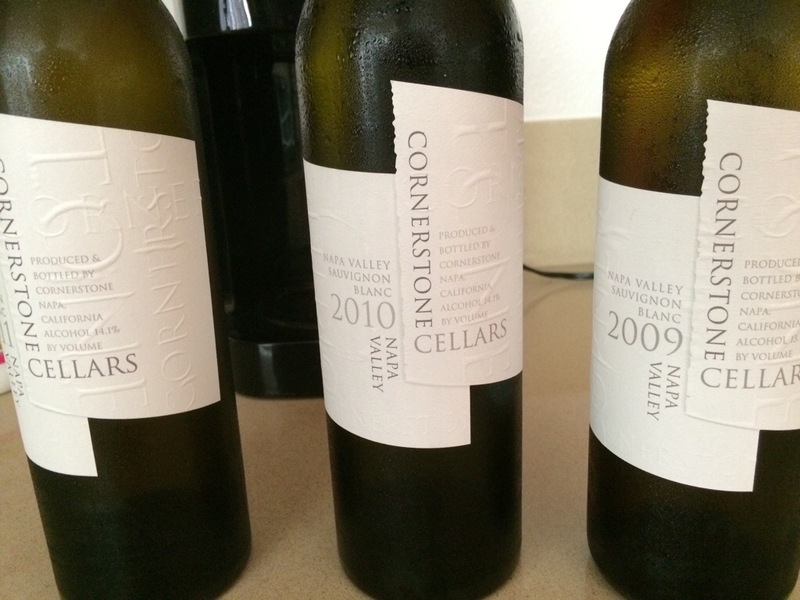 What’s the oldest Sauvignon Blanc you’ve had? 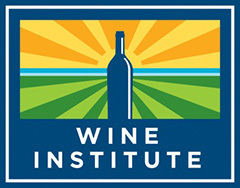 What are your thoughts on aging your white wines? Leave us a comment, and let us know what you think. 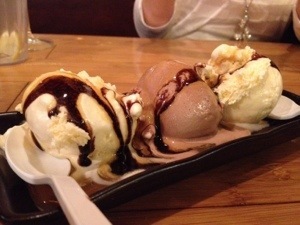 I’ve been rethinking the way I look at food. Let’s take pancakes, for example. I have never been a pancake-for-breakfast type of guy. They’re way too filling. They’re way too sweet. They’re almost always made from some crappy mix from a box that’s been sitting in the back of somebody’s pantry for way too long. When we change the idea of a pancake from a fluffy, sugary breakfast food to that of a hearty, crisp, savory meal… Well… That’s something I can get into. The other day, I was watching The Chew. On this episode, guest chef, Ming Tsai, showed how to make a simple, savory pancake out of leftover Chinese food. I just had to make my own version (without the leftovers). I mixed together 2 cups of flour with one cup of warm water until it became one fluffy ball. 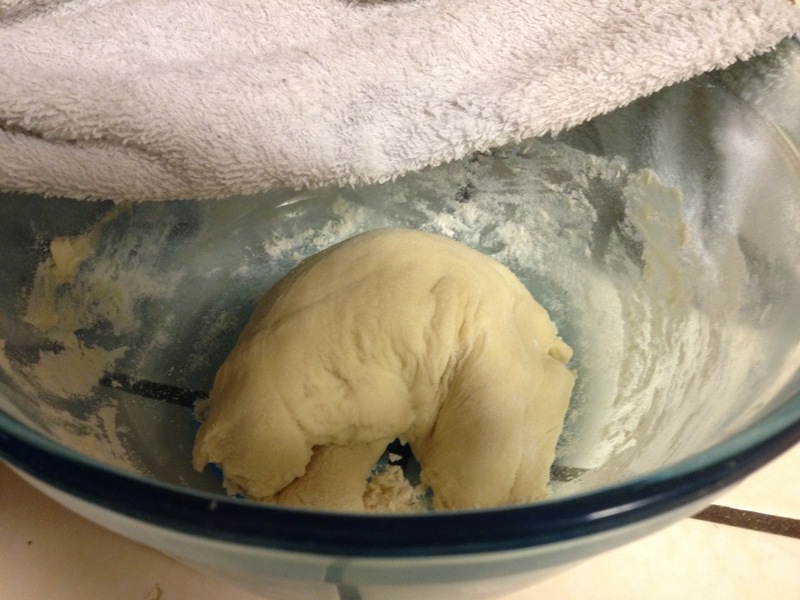 I kneaded the dough for about ten minutes, then left it in a bowl (covered by a damp towel) for about an hour. 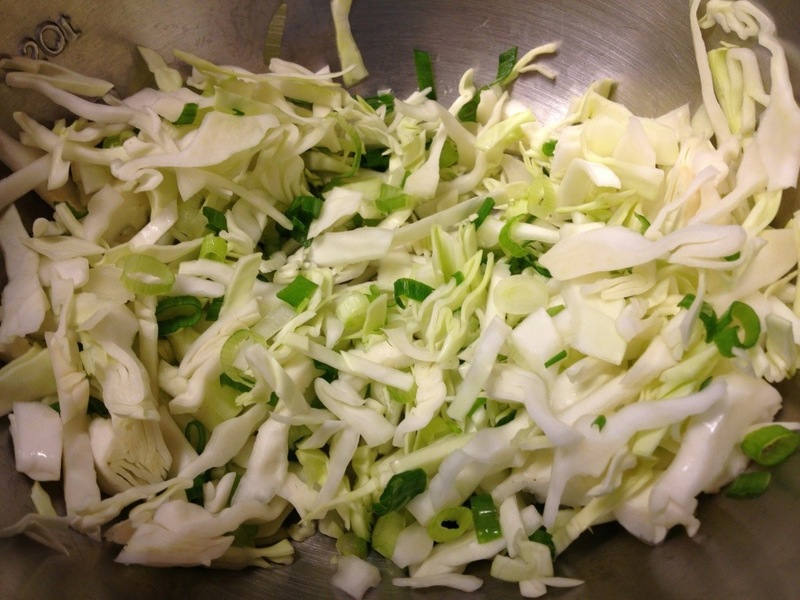 While the dough was resting, I chopped up about a quarter of a cabbage and two scallions, and threw them in a bowl. 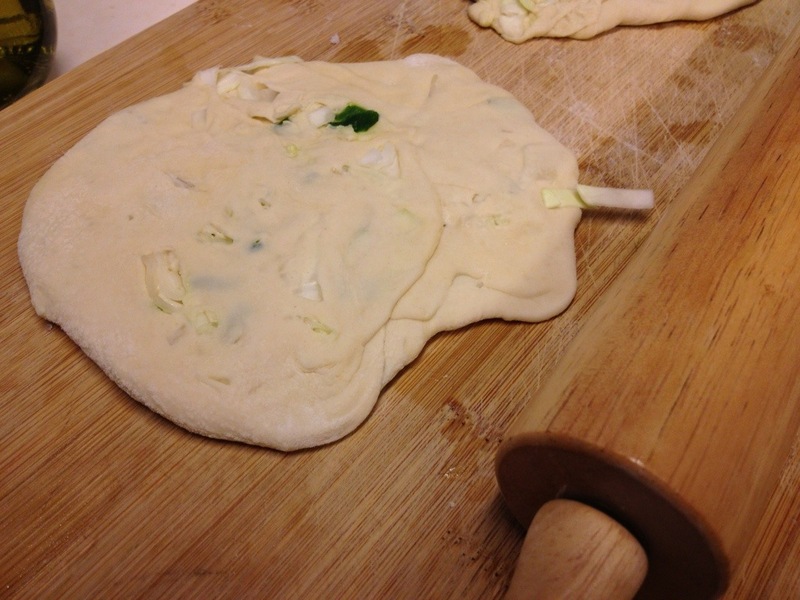 I rolled out half of the dough really thin, brushed it in olive oil, sprinkled in some salt, and covered the dough with the half of the cabbage and scallions. I then rolled up the dough, pulled it apart into two smaller pieces, and rolled each piece into a 7″ pancake. I proceeded to make two more pancakes with the rest of the dough. Each of the pancakes was cooked over medium heat in an omelet pan with a little bit of olive oil for about 3 and a half minutes each side. 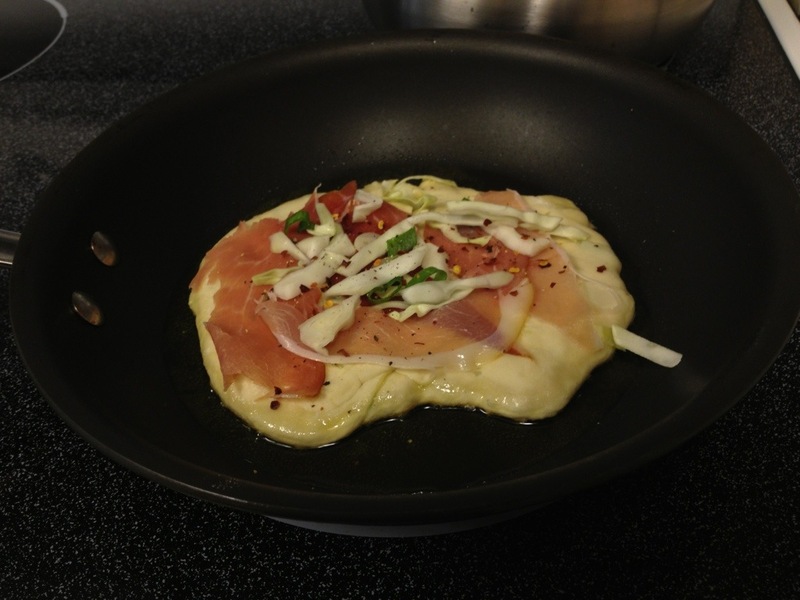 To finish the pancake, I topped it with some prosciutto and a little bit of the leftover cabbage and scallions. To serve, the pancake was cut into four slices, topped with a drizzle of Sriracha, and accompanied by a butter lettuce salad with a spicy peanut vinaigrette. I was really happy with how this turned out. The pancake is crisp and chewy. 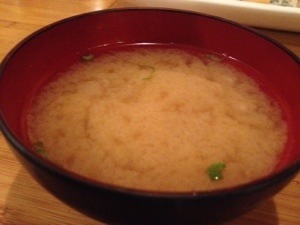 The cabbage and scallions give the pancake an earthy flavor. 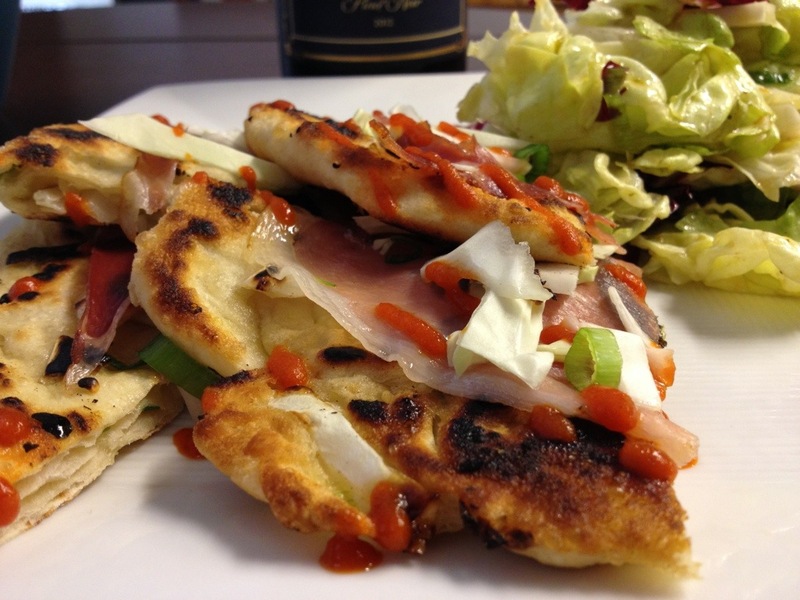 The prosciutto gives a delicate meaty flavor, while the Sriracha adds a spicy complexity. You know I’ve gotta have some wine with this. Trader Joe’s keeps surprising me with the quality of juice they are bringing for price. In a world where people are obsessing over Pinot Noir from the Willamette Valley of Oregon, usually the entry-level wines from this region come in at $20. When I saw this wine for $8, I had to get it. Color: Very light ruby. I know Pinot Noir is always going to be light, but this is one of the lightest I’ve ever seen. Nose: Upon first inspection, the fruit on this wine is hard to miss. Though it does dissipate as the wine opens up, initially, all I could really get was fresh raspberries. Notes of maraschino cherries, whipped cream, and even some lettuce leaf begin to appear over time. Taste: Though dry, I can’t help but think of a summertime dessert of cherry, raspberry, blackberry, and blueberry tart when tasting this wine. There are some good notes of vanilla, spice, clove, and tobacco leaf. While pretty, the wine finishes a bit thin for me. Score: Make no mistake. 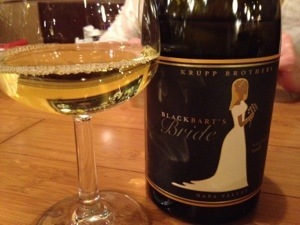 If you really want to know what Willamette Valley Pinot Noir tastes like, this not the wine for you. 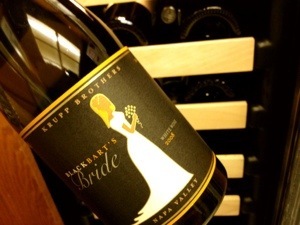 But… If you want a quality wine for 8 bones, this will do the trick. 88 points. 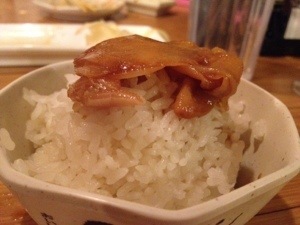 With Food: I am really happy with this pairing. 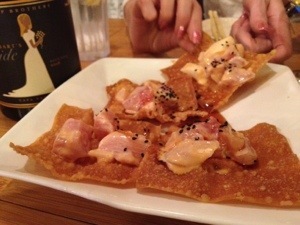 The savory, salty, and spicy pancake highlights notes of tea leaf and tobacco in the wine. It provides a good body and depth of flavor to the wine as well. 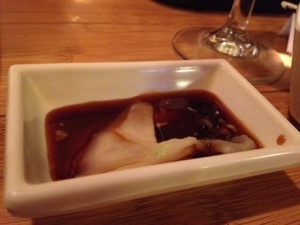 The peanut dressing on the salad continues to provide a great earthiness I felt was lacking in the wine. The next time you’re thinking about pancakes, put down that maple syrup and grab the Pinot Noir instead. 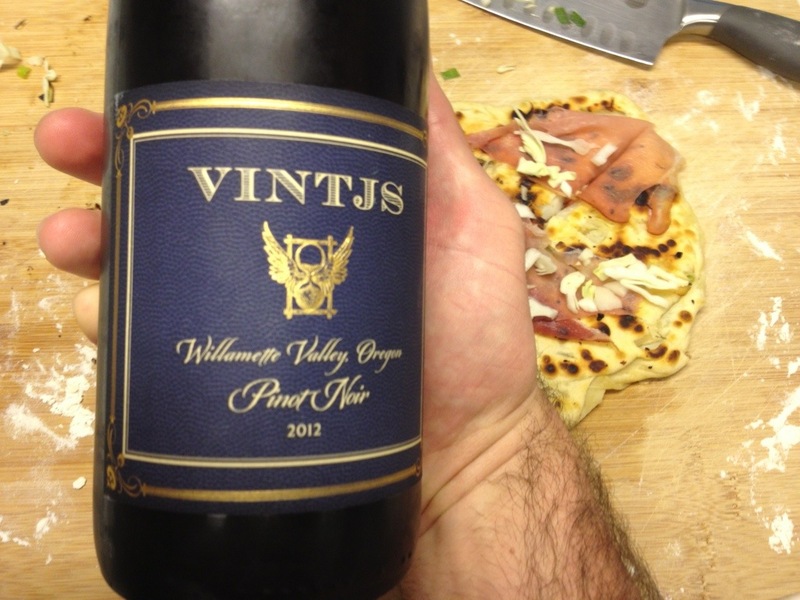 What wine would you pair with your favorite pancake? Leave a comment, and let us know. 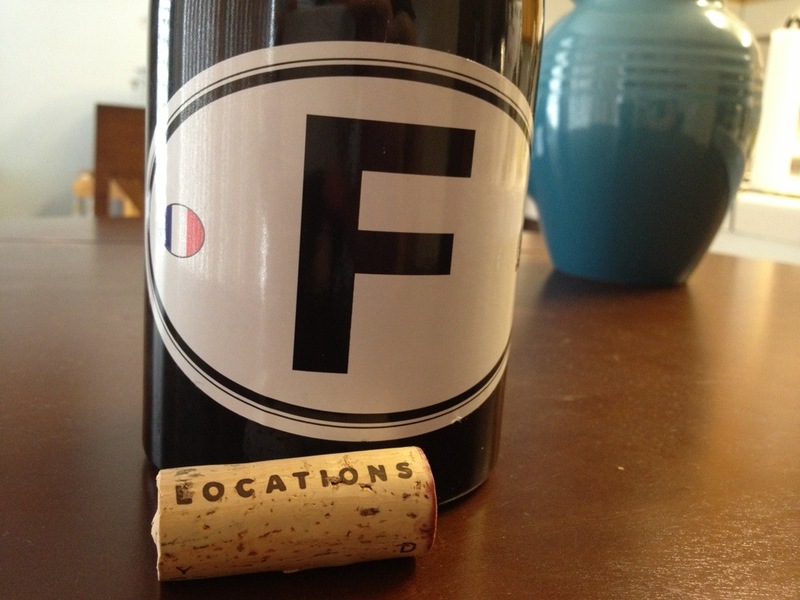 Have you tried any of the Locations wines? Which ones? What’s your favorite? Are you following JeffIsRad on Instagram yet? Leave a comment, and let us know what you think.